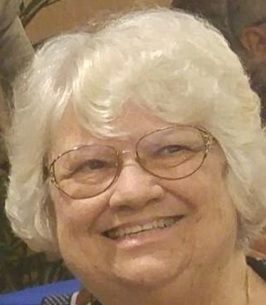 Beverly Ann Hester passed away peacefully on 17/Oct/2018. Beverly served her country in the United States Air Force for twenty years, served 17 years in Civil Service at Patrick Air Force Base, and received a letter of appreciation from George W. Bush when she retired in 2005. She is survived by her husband Jim, daughter Tiffany, son Bryan, grandson Kieran, brother George, sisters Myra, Janet, Marti, Sonya, Belinda, her cousin Tandy, her sister-in-law Kathy, and their loving families. Beverly will always be remembered for her kindness and heartwarming demeanor. She was a loving wife, mother, grandmother and sister to her siblings. The service will be held on 27/Oct/2018 at 11:00 am at St. John’s Episcopal Church at 610 Young Street, Melbourne, FL 32935. To send flowers to the family of Beverly Ann Hester, please visit our Heartfelt Sympathies Store. Tiffany,Mark & Family. We are sorry to hear of the passing of your mother. Aunt Bev was a wonderful lady. She was always so kind to me. I will miss her greatly. My thoughts and prayers are with all.